For The Stylish Flowerchild In You! 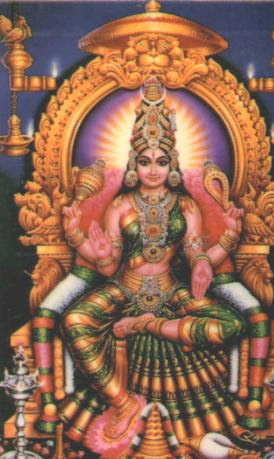 Do you know that the return of Divine Feminine is actually explained, in many beliefs, including Hinduism? There is a story about her leaving the earth, except for in sacred groves, forests, caves... and that she would come back, and that it's now! It is amazing! 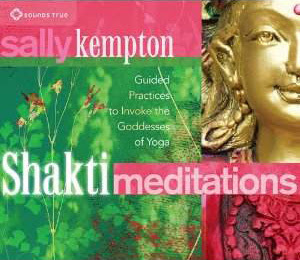 I hadn't heard that story until I listened to Shakti Meditations. It's an amazing cd. About eight months ago, my guides started saying, "She's coming..." And I had no idea what the heck they were talking about! Ha ha ha. I just kept hearing it. And then one day I was walking by a big statue and I felt grabbed. I turned around and it was a huge head... Diana. And I knew right away, I got it... I almost started crying on the spot, ha ha ha. Crazy! There was a Native American ceremony up in Canada to welcome Divine Feminine back and send off Divine Masculine with love... last Fall, I think. And it's so darn palpable! It's incredible! 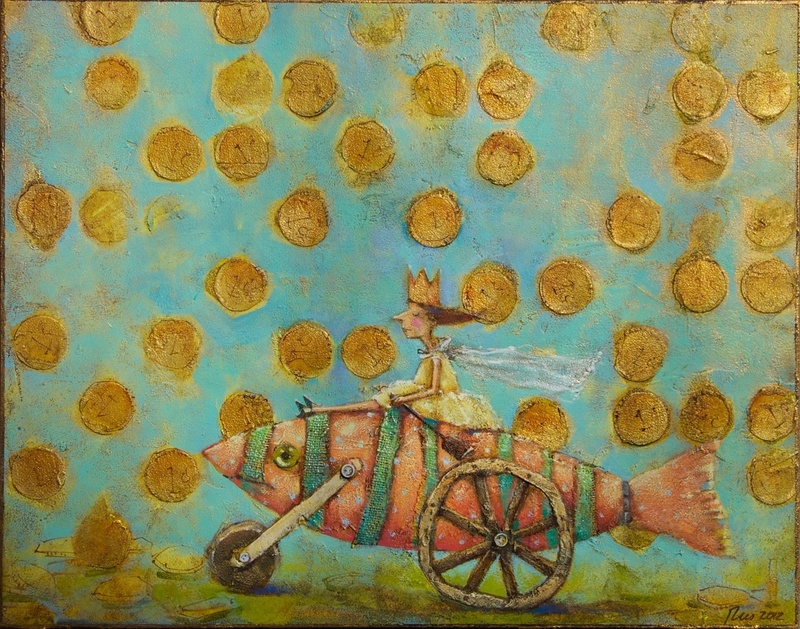 Click here for more of Martin Spina's art. 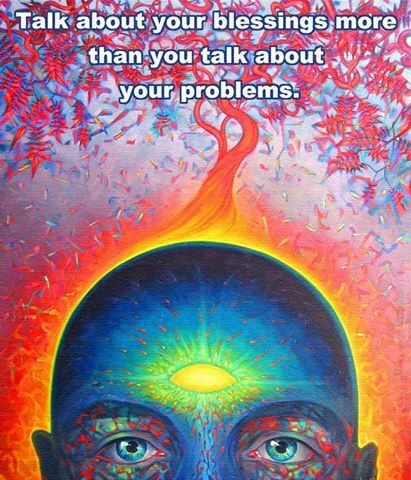 I found this image on the Facebook page Sun Gazing. This sweet painting is by Angie Rees. If you want abundance in your life, you must resonate with the vibration of abundance. Abundance is not something we make happen, we don't create and recreate it again and again. Abundance is a flow that we connect to, it's a flow of giving and receiving. It's a beautiful thing, a wonderful dance. If you wish to be connected to this flow, you must feel at ease with both giving and receiving. If you feel that you only appreciate one half of the equation, you will want to cultivate an appreciation for the other. There are a few things that I do, practices if you will, to help me stay in the flow. When I pay my bills I write "Thank You" on the checks (A nice little tool from Busting Loose from the Money Game). I do it for several reasons. As I said to stay in the flow, but I also find that writing and reading "Thank You!" always feels joyful to me. And I also like to remind myself that the money I am giving is appreciation for something I am receiving and enjoying. When I find money on the ground I accept that it is a gift. When I am given extra change by accident I give it back, the joy of the exchange and the honoring of abundance is far more valuable to me than a momentary surplus. I also offer my gratitude for all of the blessings and wonderful things in my life, to The Divine, in a journal. It's not a list of things I am grateful for, it's a conversation. I write things like, "Thank you for my wonderful cuddle bunny, Witty! She gives me so much love and affection! Thank you for my wonderful supportive friends and family, I love them so much! Thank you for my beautiful home and my wonderful town!". Ha ha ha, I actually write all of that, ha ha ha. I've found, for myself and for my clients, that a conversation tends to be much more invigorating and heart opening than a list. That being said, the joyful emotion of gratitude is really the point. So play around with it and see what works for you. Figure out how to get yourself jazzed about the things that are bringing you ease and joy in your life. And if you're feeling a bit down and funky, open that journal up and read a few pages! Another key element to abundance flow is feeling joy for the abundance in other people's lives. Not just our friends and loved ones, but all beings everywhere. I have absolutely no issue with advertising for this reason. When I hear people kvetching about the ads, particularly on Facebook, it really surprises me. I am so grateful for Facebook and Youtube! I have connected with many friends through Facebook, people that I never thought I would see again. I have found a lot of love and seen amazing wonderful things on both Facebook and Youtube that I never would have seen without those sites. We have access to such incredible beauty and wisdom... and it does not cost us a single cent, unless we choose to click on an ad and buy something that we would like to have. All we have to do in return for this amazing gift is... well really nothing. We don't even have to look at the ads if we don't want to. When you see others thriving and you rejoice in their abundance, you are well on your way, ha ha ha. I love to see everyone thriving so beautifully! I absolutely wish for everyone in the entire world to live and play and laugh in ever flowing joyful abundance. And I do mean everyone. Love! Love! Love! When I become a superhero one of my powers will be to open people to their own hearts. I'll have several cool ways to do it including a love bomb ;-) I promise you, the only thing that will ever bring real change to any situation, internal or external, is love. Since I am not a superhero, yet, I am beginning by working on opening my own heart and offering love to everyone and everything in all of existence. Love is the way, I know it with every fiber of my being. 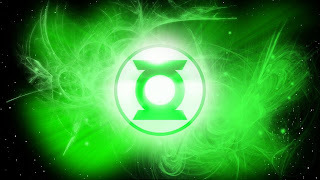 And while we're on the topic of superheroes... my favorite superheroes are the Green Lanterns. The beautiful artwork at the top of this post is Gloria Gypsy's interpretation of Anahata, the heart chakra. (Click on the image to go to her shop.) The beautiful artwork just above this paragraph is the Green Lanterns' symbol. Oddly similar, no? Ha ha ha! Green Lanterns receive a special ring and a lantern that allows them to channel a magical green energy. The story says that they need sufficient will power to wield the power. 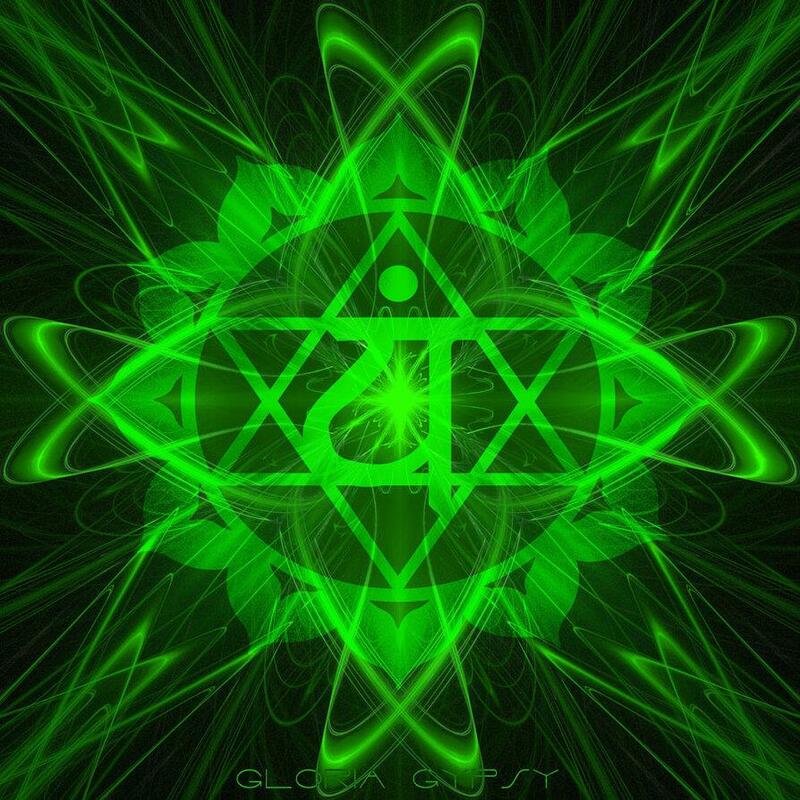 They wear the symbol on their heart chakras, and the green energy is the opposite of fear. When they channel it they can create anything, literally anything, that they are able to imagine. 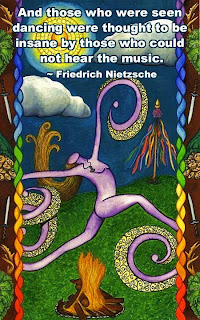 Their ability to not be controlled by fear, their will power, and their imaginations are truly what the beings bring to the table and the green energy does everything else. As far as I know the only thing that controls our fears is trust, either in ourselves or in a higher power... and that, my friends, is why I love Green Lanterns! I even have a tattoo of the symbol. Love and joy from me to all of you! I've been in a cocoon for awhile, but I feel my wings sprouting again... so let's play! Click here to find this fabulous watercolor from Megan Welti. Would you like to 'hear the music' Nietzche was referring to? If you play around with the following meditation every day, eventually you will hear the music, and much more. If you are already hearing it, then it will just get clearer and more defined. Close your eyes and take three long slow breaths as you bring your awareness to your internal workings. Imagine the breath flowing all the way to your fingers and toes. After the third breath, bring your awareness to your heart chakra, in the center of your chest. Imagine a beautiful, warm, cozy cave inside the center of your own chest. Take a moment to feel the boundaries of the cave and then imagine you are there, sitting on the floor in the center of your beautiful heart cave. Feel the soft carpet, what color is it? Mine is lavender! Breathe swirling gold and white light into that space, illuminating the walls... as you release your breath feel the sensation of being in that space deepen. Play with this, look around with your mind's eye and see what shows up. 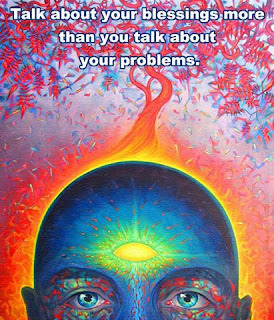 Check in and see if you notice that things feel different to you when your awareness is focused in your heart. If you begin to feel a physical sensation in your chest, like a gentle pressure or slight cramping feeling, give yourself a pat on the back! That means you are doing a great job! Enjoy! then mix flour mixture into butter mixture. barely starting to brown, about twenty minutes. Bring milk and lavender just to a boil in a small saucepan. Remove from heat, and let steep 10 minutes. Strain, and discard lavender. Whisk in sugar until smooth. (I actually add sugar slowly until I get the consistency that is somewhat liquidy enough to spread and set overnight...) You will have to use all of the icing immediately. 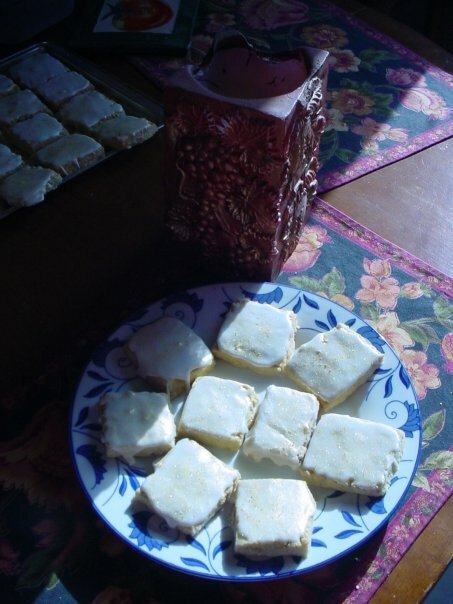 I personally think the shortbread is better the second day. Enjoy! A Network For Grateful Living! GlamSpirit ~ Great Blog with Great Links!